PETPET today introduced its new and improved range of diapers that promises to keep the little ones happy and comfortable for longer periods of time. Parents with babies and toddlers can understand just how important it is to ensure their little ones stay dry and snug throughout the day. It keeps these little rays of sunshine smiling, cooing and playful when they are not wet, sticky and uncomfortable. To fully understand what parents, want when looking for the right diaper, PETPET spoke to families and discovered the top three functions that are most important are no leakages, long lasting and continuous dryness. Having put in numerous amounts of research and development to ensure those three concerns are dealt with, PETPET brings to the fold their range of diapers that promises to bring hours and hours of joy to families. “PETPET has always been a brand that puts itself in the shoes of the consumer. Our products are not just about catering to a market need, it is centred around providing products that support our consumers in their everyday lives. 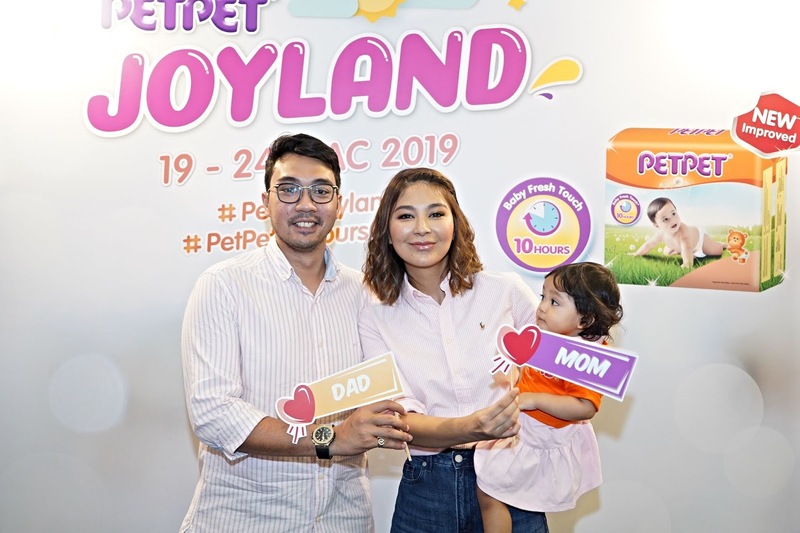 We understand that family time is extremely important in this day and age where everything moves at lightning speed, so to ensure that our parents have the best time with their little ones, we have developed a range of diapers that will ensure they get those memorable moments together,” commented Yeoh Aik Cheong, Managing Director of PETPET Malaysia. The new range of PETPET diapers utilises non-woven fabric and absorbent material processing and moulding techniques that is very much ahead of the industry. This superior ‘Fast Dry’ technology coupled with its 360° AirThru system allows more comfort and a quick drying mechanism that keeps babies comfortable and happy for up to 10-hours a day. Unlike most diapers, where frequent changing is required, parents can now rest easy knowing that their most precious family member will be joyful not only throughout the daytime, but as they sleep blissfully in their cribs. For the ‘New-Born’ product in particular, PETPET has ensured that their diapers are significantly softer against a new-born’s sensitive skin and has been designed to also take into account the child’s healing navel area so that there is no pressure or overlay. For parents this is a dream come true. The need for overpacking baby stuff every time they leave the house is now a thing of the past. With PETPET’s well-designed diapers, that come with cute and cuddly mascot prints, families can now have more stress-free quality time to create memorable moments together. To inaugurate its new and improved range of diapers, PETPET will be setting up special promotion booths all around the Klang Valley starting 19th March 2019. Special premiums, games and deals will be available, so be sure to catch the PETPET roadshows. For more information on when its coming to a store near you, log onto PETPET’s official Facebook page at https://www.facebook.com/petpetMY.